Looking for a Sun Peaks RMT Registered Massage Therapist? Looking for a Sun Peaks RMT (Registered Massage Therapist) for your sports related injury? There are a number of highly skilled (and highly recommended) massage therapists working at or near Sun Peaks Resort. Many are highly trained and experienced in various massage treatments, that may have earned their designation here in BC or earned their massage certification or designation in another country. Regardless, they they are excellent massage therapists. Some people specifically request a Sun Peaks RMT for their massage so they can obtain a tax-deductible medical receipt or can be reimbursed through their extended healthcare plan here in Canada. And there are also several excellent RMT’s in Sun Peaks that we recommend and you can find links to some of the certified Registered Massage Therapists that we refer to on our Sun Peaks Services page. However most generally don’t offer mobile services – you need to go to their studios or offices for treatment. However, the newest RMT to offer services in Sun Peaks does offer Sun Peaks Mobile Massages right in your Sun Peaks accommodation. Eric Wyatt arrived in 2017 and is quickly established an office in Kamloops (Knee Deep Sport Massage) and also offers mobile RMT injury diagnostics, assessments, treatments and massages. 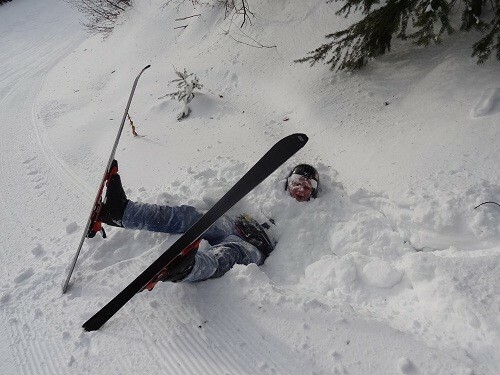 Eric brings over 13 years of paramedic training along with his RMT accreditation and an extensive background in treating athletes including mountain bikers, runners, tri-athletes, and now skiers and snowboarders. His mobile fees include a small assessment fee, but with several hours notice you can be enjoying some relief from your injuries, right from your location in Sun Peaks (or Kamloops). For options and availability with regards to RMT massages and treatments, or even for other Sun Peaks spa or massage treatment options, simply complete and submit the form below which will be forwarded to an available massage therapist or Registered Massage Therapist.